The latest in wedding videos is placing a GoPro on your officiant for a bird’s eye view of your wedding ceremony. This is a new trend that is catching on with couples and officiants. The officiant wears the GoPro around their neck to capture the bride and groom up close as they say their vows, and best of all film the bridal procession coming down the aisle. There are many examples on YouTube of GoPro weddings, watch a few videos to see if this is something for you or discuss this option with your videographer and your officiant. Although I suggest forgoing the GoPro if the only option is a head strap, I cant imagine anything more distracting than having a camera strapped to the head of your officiant. All eyes will be on the contraption and not the bride! 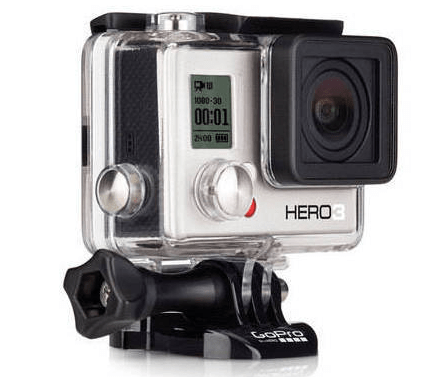 Of course there are many types of cameras that will do the same job as a GoPro but are more discreetly hidden. You can find them at specialty stores.